Home > Bloggers > My NYC. If you ever go to NYC and post it on your Facebook, I almost ALWAYS post on your wall that you just HAVE to go to Momofuku Milk Bar! There are a few all over the city and they are pretty reasonable cost wise. A few of my recommendations include the crack pie, birthday cake truffles, any of the flavors of yogurt, and any of their cookies. No lie, I usually grab about 5-10 cookies for the road! There are also a few locations through out the city. I recommend making a reservation if you can, because when I went, it was absolutely packed! This past trip was actually my first time at this restaurant, and it did not disappoint! I got the veggie ramen, and it was awesome! I didn’t eat the pork buns, but man, they looked amazing and smelled great! Daniel, created by the world-renowned chef, Daniel Boulud, is known as one of the best restaurants in the WORLD, and I must say, it sure lives up to its reputation. Sure, it definitely costs a pretty penny to eat here, but its not just any meal, it is truly an experience. Daniel serves French food, and the service and the restaurant are impeccable. I promise, you will have the foodie experience of a life time, and be sure you make reservations in advance. Waffles and Dinges is a food truck that I used to always run into around Columbus Circle. Basically, you can get hot waffles, with a variety of toppings on it. 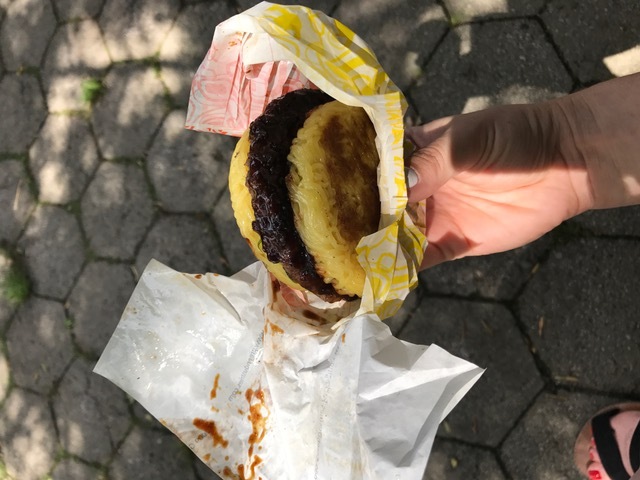 It is a quick, cheap, and delicious snack while you are walking around the city. If you know me well, you know that I am definitely not a beer girl, but rather, I LOVE my craft cocktails. This place is truly ONE OF A KIND. From the owners of Milk and Honey, which was another famous cocktail bar in NYC, Attaboy, is a MUST GO if you love craft specialty cocktails. Basically, you tell them what you feel like, and they will make you whatever you want. The waiting list is usually around 2 hours, so put your name on the list early, go walk around, and then come back. You won’t be sorry that you waited. During this trip, I spent a little more time in Brooklyn and Queens. A friend of mine recommended that I go to Smorgesburg, and I must say, the food there was unique and of course, tasty! 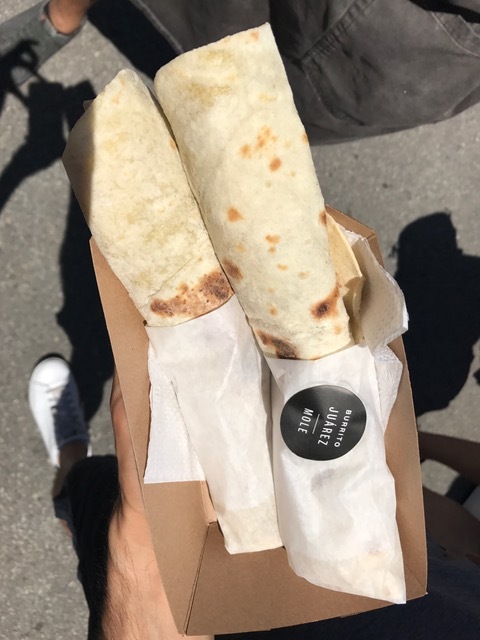 I ate a burrito from Burrito Juarez , which was DELICIOUS and their tortillas were so fresh, a watermelon mint popsicle from People’s Pops, a ramen burger, and a few other things. I didn’t get the raindrop cake because I asked a few people how it was, and they all seemed underwhelmed. BUT my overall experience was great! If you are a foodie, you should definitely go taste everything! 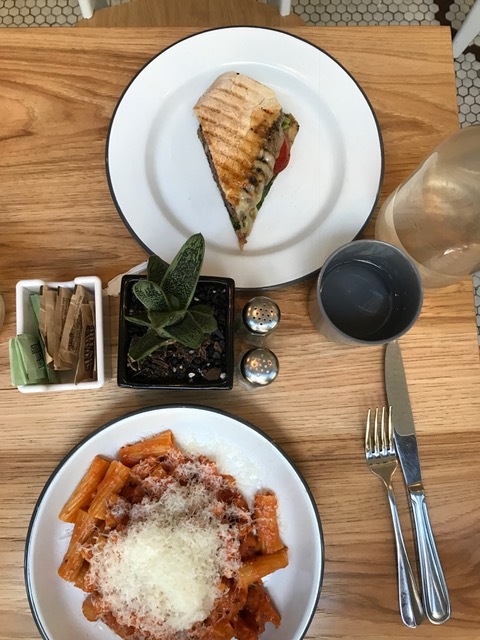 Eataly : The best way to describe it is EVERYTHING ITALIAN! The Little Owl: Quaint restaurant in the Greenwich Village, the front of the restaurant was the one that was used in Friends. Eleven Madison Park: Once in a life time meal! Very expensive, but worth every penny! Katz’s Deli: DUH, you have to go! They have amazing pastrami and is everything a NY deli should be! Zabars : This is the grocery store of all grocery stores! Gourmet groceries at its best! Essa Bagel : Great bagels and shmears, what more do you need to know!? I LOVE just walking around in Central Park. There is nothing like it. I often just sit there for hours, people watch, reflect on life, and enjoy the scenery. 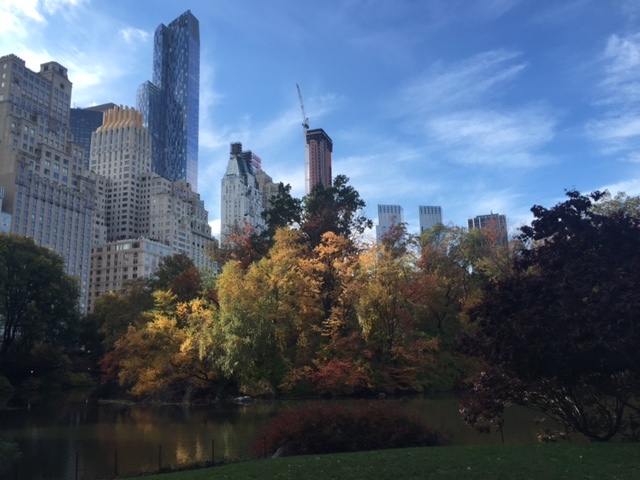 Just an FYI, there is a zoo, ice skating in the winter, and a lot of monuments throughout the park and during the Fall, the foliage is absolutely beautiful! For a person who loves the arts, such as myself, Lincoln center is a MUST! The building and theaters are stunning, and if there is an opera or ballet going on, I would definitely try to get tickets! The best talent in the world performs here, and that’s just one of the reasons why it is so special to me! If it is summertime in NYC, one of the must sees, is the rooftop at the Metropolitan Museum of Art. I have gone for 3 or 4 Summers and it never gets old! 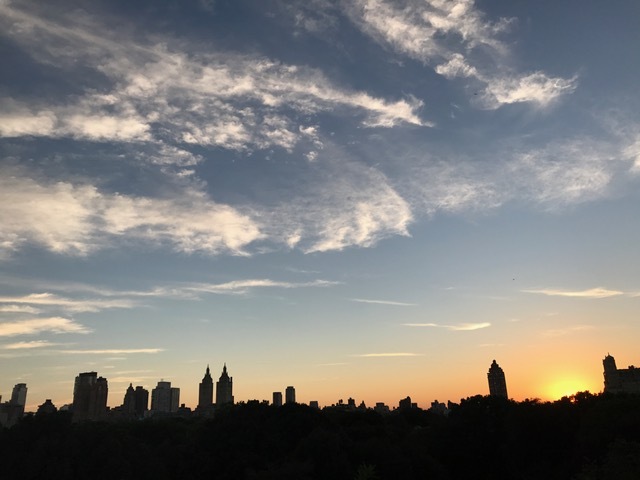 Each summer there is a spectacular art exhibit on the rooftop, and not to mention, the view is absolutely breathtaking, as it overlooks all of Central Park and Manhattan. And while looking at this view, you can grab a cocktail or snack! Not to mention, you don’t have to pay to get into the museum! Another foodies dream! Great food, tons of people, great little stores with awesome souvenirs.